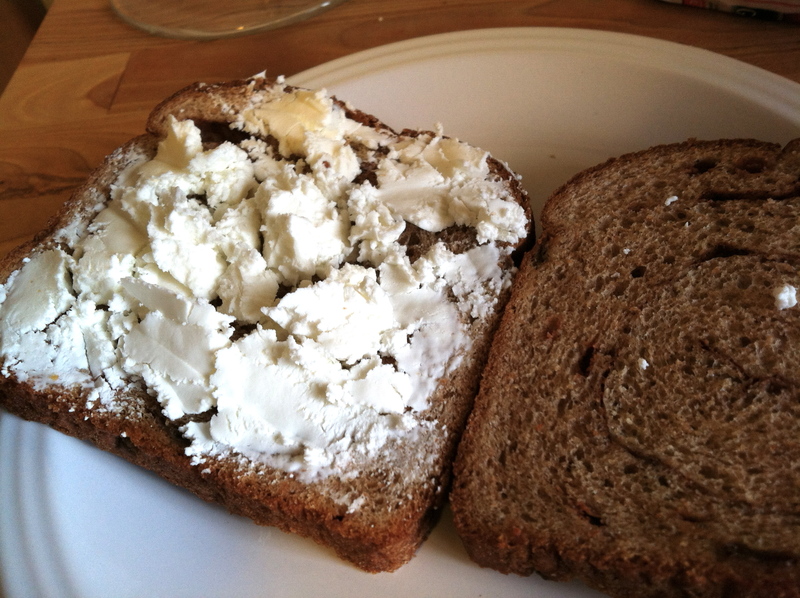 So I ask, my darling readers, that you set aside your preconceived ideas about goat cheese until you try it in the sandwich I have been obsessively eating for breakfast for the past week. 1. Lay out your bread slices and crumble 1 oz. 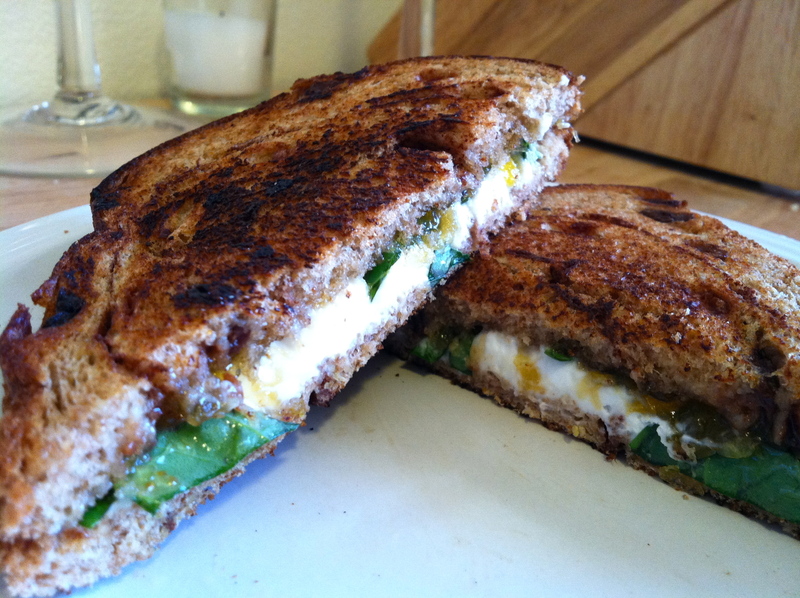 of goat cheese on 4 of the slices of bread. 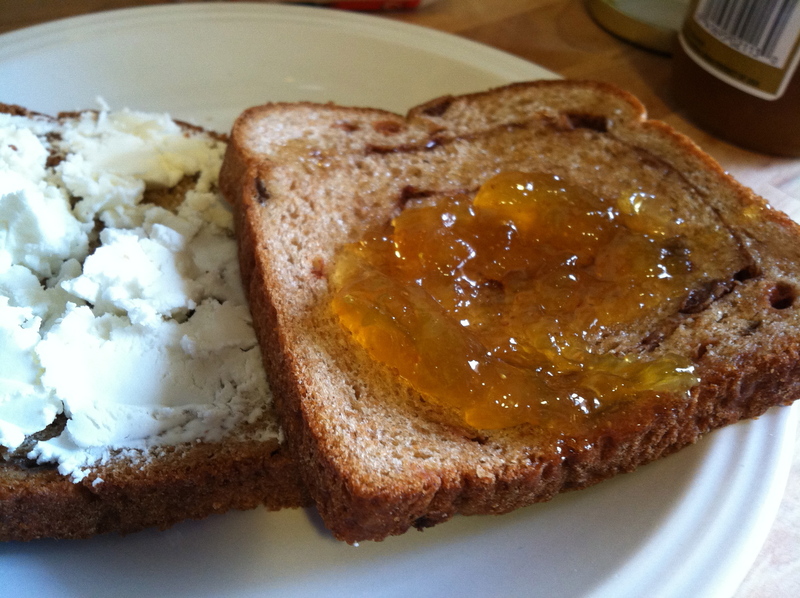 I say crumble instead of spread, because while goat cheese is soft, it’s a bit hard to spread. I sort of end up doing a crumble/spread combo, breaking it into smaller chunks and then spreading those pieces out to the corners. As long as you have a relatively even distribution over the bread slice, the cheese will melt and even itself out for you. 2. Drizzle the other slices of bread with 1/2 tsp of honey. Spread the honey, and top with 1/2 a tbsp of fig preserves. 3. 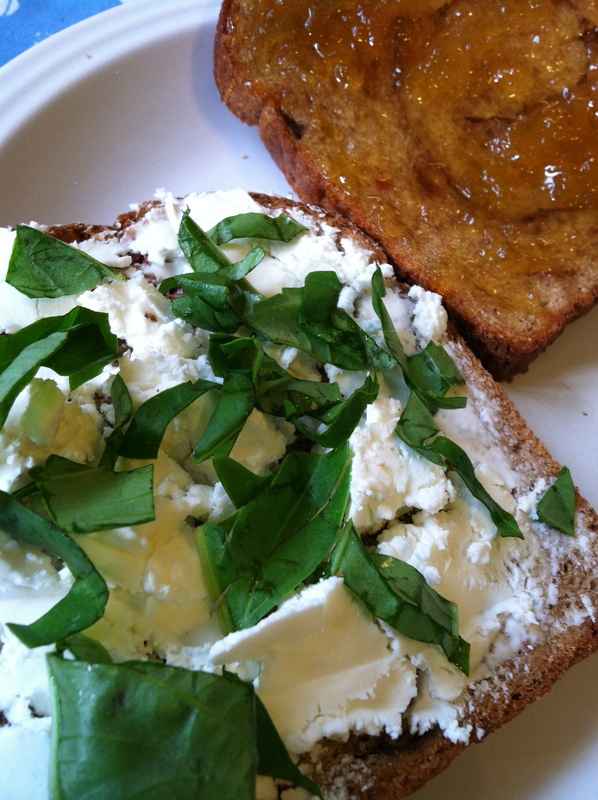 Scatter the basil and lemon zest over the slices with the goat cheese. Put one fig slice on top of each goat cheese slice to make your 4 sandwiches. 4. Coat a frying pan with cooking spray, and grill the sandwiches over medium heat, just as you would your average grilled cheese, until they are golden brown on both sides. 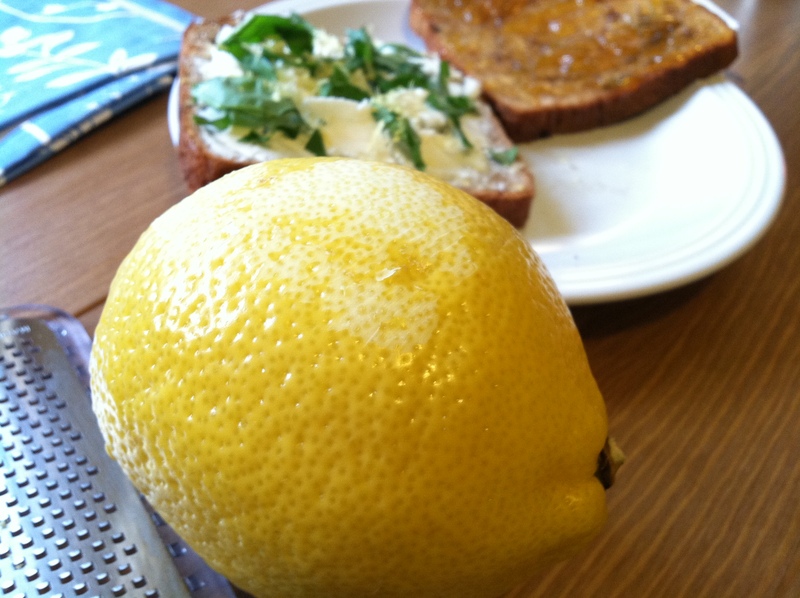 Serve with a green side salad to complete the meal for dinner, or half a grapefruit for a delicious breakfast! This entry was posted in Uncategorized and tagged Basil, Bread, Breakfast, Cinnamon, Dinner, Fig, Goat cheese, Grilled, Honey, Lemon, Raisin, Sandwich, Vegetarian by theculinarycapers. Bookmark the permalink. While I’m perfectly willing to let you make one for me while I’m up in MN, I’m not so sure this one will be winning me over. But I’ll at least try! I’ll make one for me and let you have a bite, how about that?